Hybrid Team Patch Punisher with US Flag overlay. 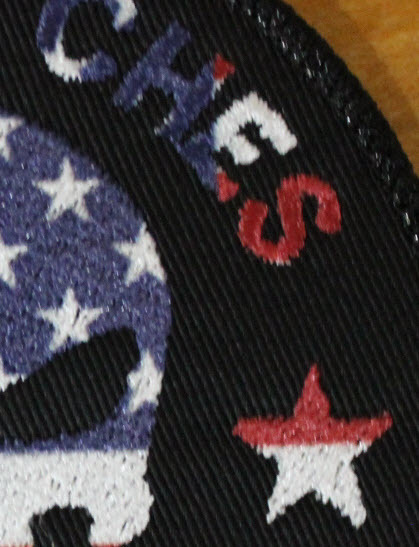 Patch Size is 3.5 inches round. We are pleased to announce the FIRST in the new line of embroidered Hybrid patches. Team Patch Punisher with an awesome patriotic Flag overlaid on top. This is a new process that allows you to have the embroidered look but also carry over some of the details from custom printed patches that you cannot achieve effectively with embroidered patches. It is available on Black material only and no need to select a thread color either. Just add your text and velcro options and we will do the rest. The result is this amazing new breed of patch only here at OMLpatches.